I attended the Hawai’i All-Collectors Show this past weekend at the Blaisdell Exhibition Hall. At the same time, there was the Hawaiian Islands Vintage Surf Auction. It was an opportunity to see amazing, vintage collectibles and two pretty cool events at the same time. Such nostalgia…. There was everything from vintage Aloha Shirts, to license plates, to jewelry, to sports memorabilia, to soda bottles, to Don Ho records, to stamps & coins, to hotel ashtrays, to Elvis movie posters, and even Kikaida dolls. Phew…. 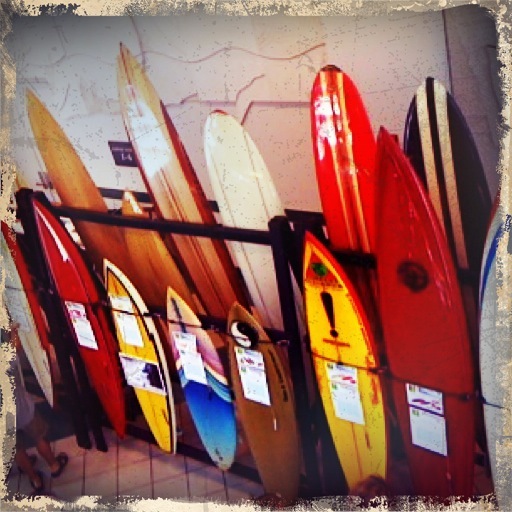 But what really caught my eye was the collection of vintage surfboards. It was amazing. There were even boards that belonged to Duke Kahanamoku! Two regrets. They didn’t take my $1 discount coupon off of my iPhone at the box office (they needed a printed copy.) Secondly, I couldn’t afford to buy any of those nice things. The positive? I really didn’t need to buy anything, and I had an absolute blast!